Depart Dublin Airport at 13:05 on a flight with Ryanair to Cologne. On arrival, you will take your coach transfer to Maastricht. This transfer will take approximately 1 hour and 20 minutes. Your hotel in Maastricht for your 3 night stay will be The 4* Select Hotel Apple Park Maastricht. In the evening, our coach will transport you to Vrijthof Square for the Andre Rieu Concert and take your seat for this marvellous experience of music, song and humour with the world's best loved classical star. After some last minute shopping or sightseeing, say goodbye to Maastricht as we set off to Cologne for our flight home. Booking deposit of €350 per person is due at the time of booking, plus any supplements. The balance is due on the 24th April 2019. 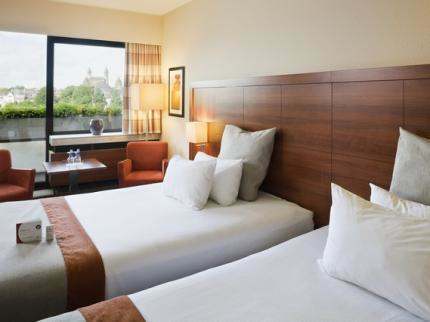 The single supplement for the Select Hotel Apple Park Maastrict €249. Checked Baggage 20kg - €80 per bag for return trip.